Looking for a spot to paint the town red or hunker down and write a bestseller? We’ve found it. One hundred and fifty steps up a serious hillside in a breathtakingly scenic setting, we find the hotel’s private villa retreat with its three spacious suites, common areas and pool. There are also seven newly imagined guest rooms just off the main building that boast stunning lake views. 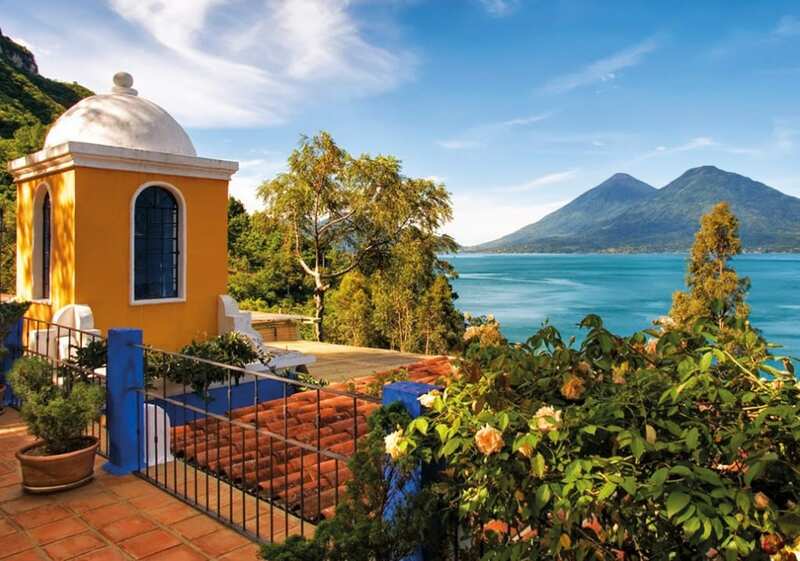 In the open-air dining-room and terrace, Palopo’s executive chef, Yonatan Gomez , fuses his Guatemalan warmth and global experience to create delicious meals and cocktails. His early morning breakfasts outside turn out to be our favourite. We could easily chill all day at Palopo, “write our book” and enjoy a fabulous in-room massage as a special treat. But instead we opt to be taken by boat across the choppy lake to capture a slice of life in an indigenous village. Bustling with locals and seeded in customs that haven’t changed in centuries, each lakeside village has its own personality, its own weekly market day and its own patterned dress, called a “Traje.” Traje are handmade on portable looms by the women and girls of the village. 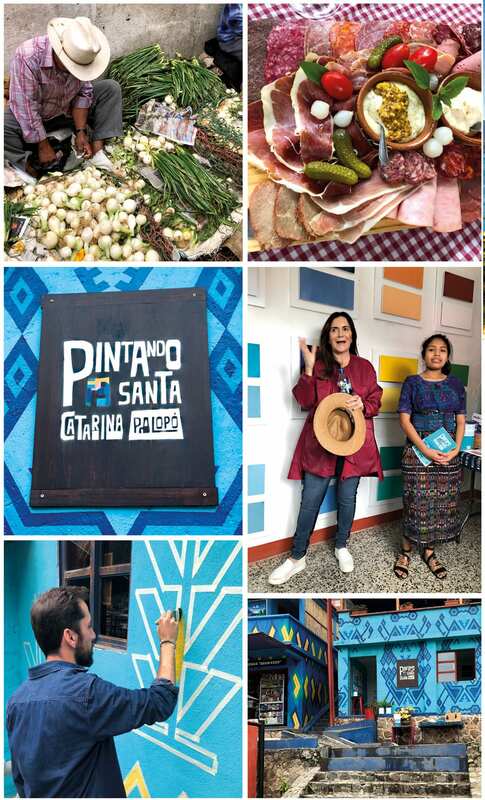 Later on, in the week, there’s an invitation from Claudia for us to participate in Pintando Santa Catarina Palopo, a social impact project in the nearby village where many of the hotel’s staff reside. Started in 2016, the project involves residents and tourists, like us, helping to clean up and paint the village’s 800 homes and municipal buildings. The project has a volunteer board, which includes villagers, business people such as Claudia and a designer tasked with establishing suitably bright colour and design palettes that are heritage based. Each participating household is coached by young people hired as promoters to select an approved base colour and decorate with their choice of figures of nature and geometric patterns. The team is hoping that the attractively painted hillside buildings will not only improve quality of life of the residents, but also entice more international tourists keen to see and experience the village’s stunning transformation. Land at La Aurora International Airport and transfer to Casa Palopo via the resort’s private helicopter for a 20-minute flight and fabulous overview of the terrain. When it’s too foggy to fly you’ll have a decidedly more uncomfortable, but interesting, three-to five-hour car ride (depending on traffic chaos). At press time, we were advised that Casa Palopo and the village were not directly affected by recent volcanic eruptions, but many families and friends in nearby villages were. Our thoughts and prayers are with them as they work together to clean up and re-build parts of the country.